The fact is you are walking with your half of the possibilities without Mobile Optimization. 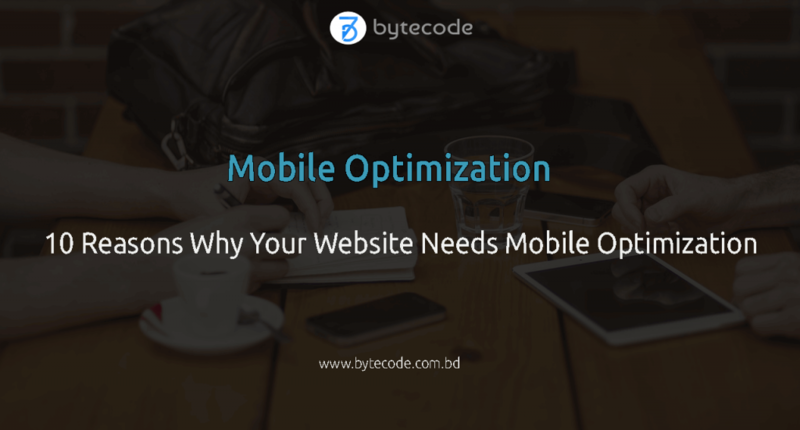 Maybe you are thinking you have heard about mobile optimization before but do not know why you have to go for it or how can you go with it. The researchers show that if your website takes time more than 3 seconds on a mobile device, you will lose 57% of your potential customers. At the same time, if the shopping cart and UX are not mobile optimized, you will lose other 30% of your customers. For this reason, you need to think to active your another hand for growing sales and getting the most potential place for online users. I will discuss why your website needs mobile optimization. At the same time, you will get some ways and case study according to the reasons for it. Researchers have obtained mobile users will increase in 2020, and it will be near about 2.8 billion. Even it will be tough to find out anyone who is not using a mobile phone. With this in mind, if you are doing digital business and want to generate more leads then you have to consider mobile optimization for the below reasons. Important: You can check if the website is mobile friendly and optimized for mobile from this tools of Google. In general, when a user passes the time on mobile he/she has the time for surfing the internet. They come here to know something, or they are taking information for their next purchase. It does not mean desktop users are not buying anything or not doing any service. Comparatively, mobile users use the mobile when they are free enough. For this reason, they can take the decision quickly, and they give more time here. Important to realize, you need to optimize the page as user-friendly to attract them where comes the terms Mobile Optimization. As the mobile users are passing the idle time in most of the cases, they are ready to take the information. I have seen when I am outside, I am using the mobile phone 99% of the cases, and then I read the review or passing the time by watching the quality of the product I want to buy in this month. For this reason, in the home or outside we have the quality time when we are ready to surf online and taking the entertainment as well as meeting the necessity. For this reason, if you design the website with the excellent user interface and the article is fantastic, surely the users will not leave you. Ultimately, the bounce rate will reduce. 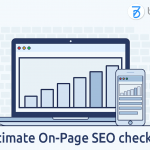 So, you are optimizing following the SEO Strategy. Researchers show that mobile users are ready to buy something. They are prepared to spend for more than one product. For this reason, if you can work for them with quality service and if you can happy them with your review and products they are waiting to become a customer of you. Here, you have to consider the mobile users are buying more item than desktop users. Important to realize, they buy the product which price modules are low. On the other hand, tablet users spend more than the mobile users. So, take a look here also. As mobile users are increasing daily, so if you optimize the page considering the audiences, it will increase the brand value. Even some users from desktop computer “cart-on” from the PC and finish buying from the mobile when they are in the free mode. So, if they do not get your business perfect on the little view, they may not accept the deal. For this reason, for representing the brand with the vast customers work for mobile optimization. It will surely add value and give you results for the lifetime. People are spending more time on their mobile phone. Most of the users who have no computer and or not fit with the PC, they are also using the smartphone. So, you are getting a lot of audience from the mobile. At the same time, mobile users are spending their free time with productivity. With this in mind, if you can increase the content quality and if it is in the perfect mobile view, it will improve the Dwell Time. So, consider the issues to outrank on the Google Rankbrain algorithm. In a blog post of Google Engineers have declared that Google is giving more priority to the mobile indexing. If the page is mobile optimized, it will be indexed faster than the desktop view. Ultimately, the overall trust ratio will increase. On the other hand, you can be featured on the Google News. If your page is responsive and most of your competitors are not, you can get the featured snippets or rich snippets easily for the mobile users. Even it can happen quickly on the desktop computer. The mobile users are increasing rapidly over the last years. Even now more than 50% of the readers are coming from the mobile phone. Google has confirmed that. For this reason, you will get more view and engagement from the mobile users. If you have the readymade mobile optimization page and if it is perfect for the user interface, you can capture half of the web traffic which will ridiculously increase the web traffic and CTR. Audiences from the mobile phone are very social, and they interact with the social media including Google Plus, Facebook, Twitter or LinkedIn. They will surely share your content if they get it helpful and authentic and need to know of their circles. It will increase engagement. After all, they will convert as the lead at a time. So, if you build the page with mobile optimization, it will increase the social identity of your business. If you look at your side or if you see your family or friends, you will find a lot of them who are not using the PC most of the time. But they are using the mobile phone for their necessary work. Surely, it is an excellent point to transfer your business to the mobile phone. Even the users will increase than your imagination. Important: Do you know how to build an App business? You can check the complete guideline on building App Business. The advertisers need the lead, and they love the quality traffic. With the mobile users. They get sufficient response, and so they want to invest more here. So, if you are making a resource, you can take the advantages of the concern by transferring the website into mobile-ready. You can create Mobile Optimized page to target the audience and to get more targeted ads on the content. When you want to adapt the screen size with the best UI and UX, mobile optimization is the first thing you can do. It will increase the mobile visibility by reducing the page size and pixels combination. With this in mind, you should depend on it for a faster website on the mobile as well as on the desktop. Researchers are showing that mobiles users are 1.2 billion and it is increasing daily. For this reason, you have to consider the things. i. Create Fluid Layouts: You will find a lot of screen sizes considering different devices. For optimizing for mobile you have to ensure it. Here fluid layouts work fine. In the fluid layouts, you will define the screen size on percentages, not the pixels. For this reason, without losing the quality, compatibility High Disk Usage or size you can fix it according to the device screen. Important to realize, the elements will be no change. With this in mind, the high professionals like it for building standard layouts for the webpage. ii. Increase Functionality: If your website increases the functionality, it will improve engagement. The use of navigations menu, share button or add to cart can make the page innovative. You need to add advanced search options or currency converter to give the inside of the page. You have to also select where you are using the buttons and showing the elements. iii. Identify Users: By researching the previous data and the behavior of the users will define how will you design the page. That means consider the step the users are following. Are they interested in the informative contents or just want to read the review and want to buy products. Design the page by considering the users. Always target to add the creative call to actions and add similar comparison table to make easy to capture. iv. Design for Touch: As mobile users will use the fingers instead of mouse pointers for discovering the webpage, you have to make the menus, call to actions or internal link available with smooth and easy surf. With attention to, the UI will be depending on the touch. Surely, it will add value to users engagement. Just fill-up the contact form or call us at +88 01927 711 980 to get a free consultancy from our expert or you can directly email us at info@bytecode.com.bd We would be happy to answer you.